Kristen Connolly and Blair Underwood with Noah Bean and Richard Thomas (background). Photos by Jim Cox. 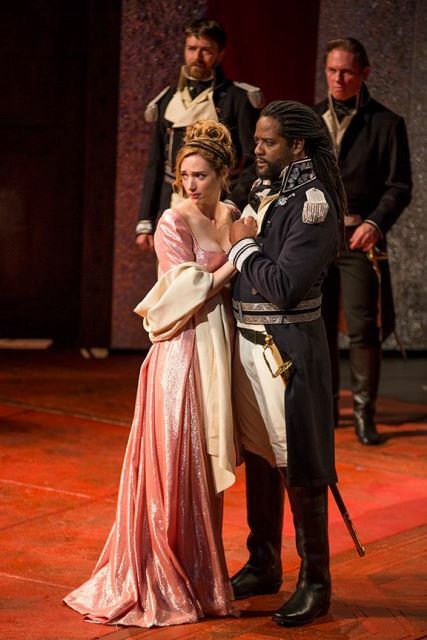 There is no redemption in Othello. Shakespeare has provided no late opportunity to undo what has been done, no chance to make amends for the terrible wrongs lavished upon the innocent, and no way for the audience to feel anything but horror for the treachery that has filled the stage for two and a half hours.